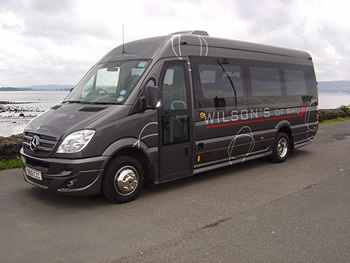 We operate 14 vehicles in our fleet with various coach sizes available, these being coaches with 8, 16, 29, 33, 51 & 70 Seats. 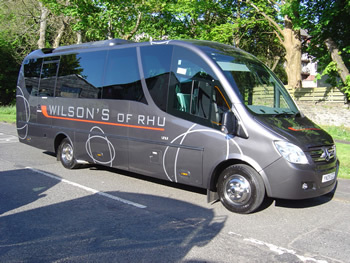 We believe in continual investment within our fleet and purchase new vehicles each year in order to ensure that we are providing the best possible coaches to meet the requirements of our clients. 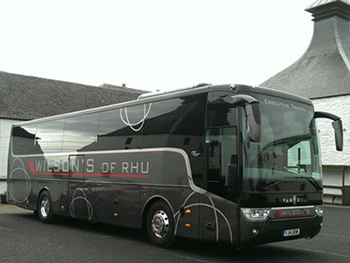 As a result, we operate what we believe to be one of the most modern coach fleets in Scotland. 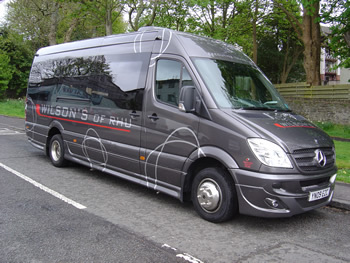 All our coaches are built to a very high specification with most of the fleet now having Full Air Conditioning. 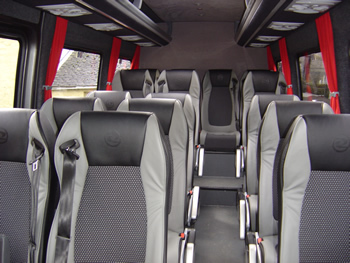 All our coaches are fitted with Seat Belts, and for several years all new coaches have been specified with full 3 Point Seat Belts as we gradually phase out Lap Belts which remain the industry standard. 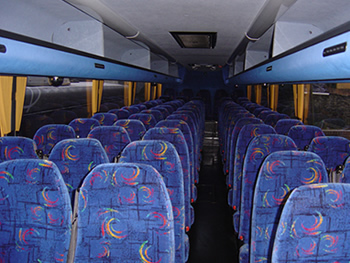 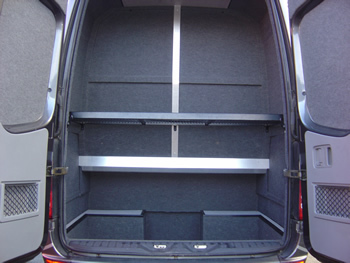 PA and Sound systems are fitted to all coaches while some also have DVD Players, Toilets and Sat Nav etc. 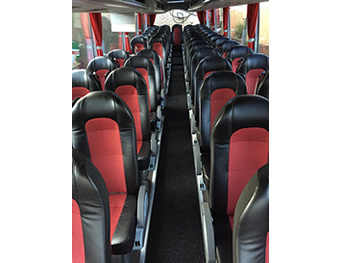 As specification varies in different vehicles please do not hesitate to ask about the coach you are looking to book or arrange a viewing. 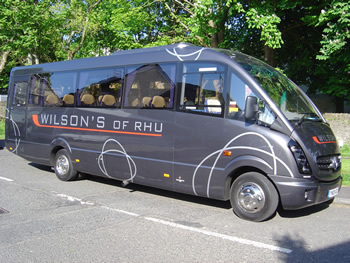 Please click on the sizes of coaches below to view the individual vehicles. 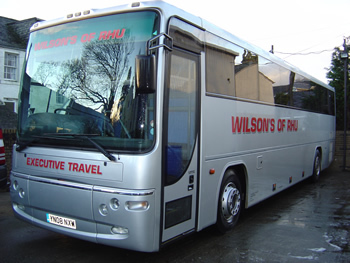 The Vehicles pictured above are coaches that we own and operate. 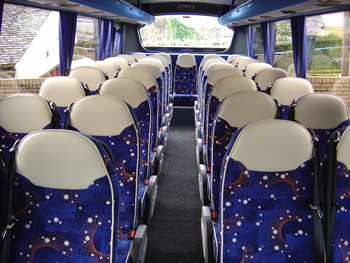 Please be aware of websites that show pictures of plain white or un-liveried coaches which are not likely to represent the vehicle that may be provided. 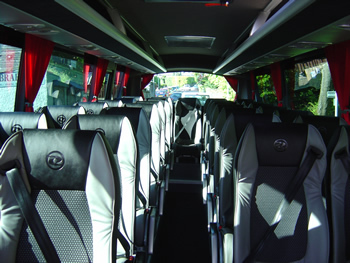 You may also be looking at a broker or booking agent who does not actually own any coaches and generally looks to obtain a coach from a local operator for the cheapest price regardless of the quality of vehicle provided.